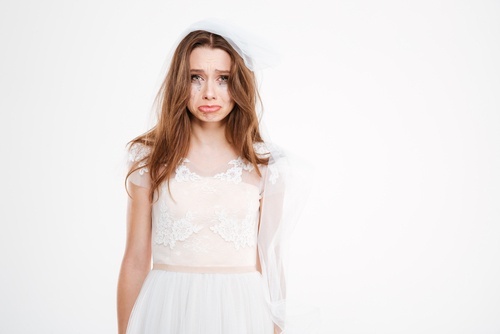 Wedding Insurance Has Your Big Day Covered: What does it cost? Check out this article published by GLOBE NEWSWIRE featuring our Online Event Liability Insurance Package. Planning a wedding? You’ve got a lot on your plate. Let us help you check one item off your list in 3 minutes: wedding insurance to cover everything you might worry about on your big day! Our Online Event Insurance Package is easy to purchase online. Up to $5,000,000 in General Liability Coverage to cover damage to your rented venue. Optional coverage available for: rental of furniture, sound and lighting, Event Cancellation and more! Insuring with Front Row is simple and easy: 3 minutes and a few clicks will protect your wedding. DOCUMENTARY ORG OF CANADA FILM MAKERS: WHAT IS ERRORS AND OMISSIONS INSURANCE? You arrive home after the screening of your documentary at a well-known film festival. The film was well received. You feel great! Your years of hard work and investment have paid off. Your distributor is happy. But even more than that, you told an important story and exposed the truth about a difficult subject. There is a knock at your door. A courier hands you a registered letter. You take it and open the package. The words catch you completely off guard- you, your company, your wife, your financial partner and your cameraman are being sued for libel and slander by a large, powerful company with many lawyers in their employ. Your mind bubbles with fear- how can it be? Your wife? Your investor? Your cameraman? Why are they named on the suit? You think back to when you placed your Errors and Omissions coverage. You remember that your attorney was careful to vet the production for libel and slander issues. You remember not liking the process because some great ideas and footage had to be scrapped during editing. In retrospect, you’re glad that you engaged a specialized clearance attorney familiar with “fair use” issues. Having also engaged a film broker specialized in Doc insurance, the panic begins to ease. But then you think, what about your personal assets? Will your E&O policy be enough to prevent the lawsuit from effecting those? What about your wife, investor and cameraman? Will these legal costs need to be borne separate from the company’s policy? To clarify this, the first thing you should do is notify your insurance broker and forward the legal letter you received so it can be reviewed. Under most normal situations: you, your company, your wife, the investor and the cameraman would all be protected under the policy. Your E&O policy will provide an expert claims adjuster and a lawyer paid by the insurance company to defend your production through a settlement and even a court case if necessary. Please note that the above is an example only: for a detailed outline on E&O coverage contact us and we will send you sample policy wording. In the event of a coverage conflict given the advice above, the policy wording would prevail. To obtain a preliminary E&O quote, please Click Here. You will be requested to fill out an application and a quote will be given to you in most cases within one business day. Front Row Insurance would like to Congratulate all of the winners and nominees at the 2018 CESAR Awards! We would also like to give a special shout out to our clients over at ADCB Films and WAITING FOR CINEMA for their award winning productions. 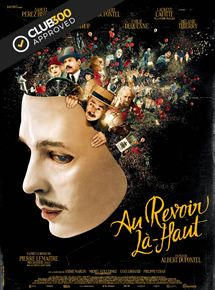 ADCB Films won 5 trophies at the 2018 CESAR Awards, for their production of "Au revoir là-haut". WAITING FOR CINEMA won 2 trophies at the 2018 CESAR Awards, for their production "Barbara". Keep up the great work, we are looking forward to seeing more award winning productions in the future.